It is our goal to bring every young athlete to their fullest potential in competitive gymnastics. 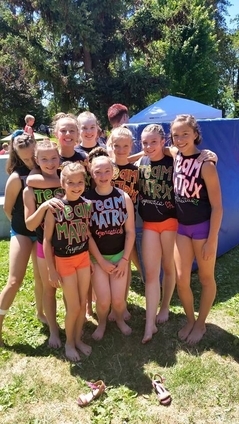 The Motion Matrix staff is extremely passionate about their role in guiding our team gymnasts through training and helping them develop into strong, disciplined athletes both mentally and physically. We hope to instill emotional strength that will help them excel in the sport and beyond. Our program puts an emphasis on discipline, perseverance, mental awareness and team unity. We are dedicated to offering every gymnast the best professional instruction in an organized program that sets a high standard. We will strive to bring out the best in every gymnast by providing the emotional and physical discipline needed within a structure that will give support and encouragement. Team Matrix athletes are taught to represent themselves with pride and confidence, to push their personal limits and to never settle for less than their best. Team Matrix is an invitation only group.